Security authorities in the Yemeni southern city of Taiz have closed down al Jazeera’s local office over allegations that the news network is biased in its reporting of the conflict oppos-ing Iran-backed Houthi rebels to President Mansour Hadi’s forces, backed by the Saudi-led coalition. 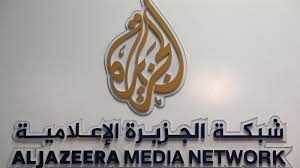 The Doha-based news network in a statement said security forces answering to the Higher Security Command in Taiz, southern Yemen, raided the channel’s office Tuesday and closed it for no clear reason. The city is controlled by forces loyal to President Mansour Hadi who have been battling since 2014 Houthi rebels. The rebels are controlling capital Sana’a and much of the northern terri-tories. The Higher security command reportedly chides the network for bias reporting, which “reflects negatively” on the war ef-forts against the Houthis. Taiz, a strategic city in the conflict, has been target of control by the two opposed sides. It is a major point between capital Sana’a and the south. Saudi Arabia and the United Arab Emirates (UAE), leading the Pan-Arab coalition, have entered Yemen since 2015 to endorse Hadi forces against Houthis that coalition believes are spon-sored by regional rival Iran. Qatar, the founder of the news network, had been part of the coalition but pulled out last year after Saudi Arabia, the UEA, Bahrain and Egypt imposed a blockade and accused the emir-ate of funding terrorism. The network said three of its staff were abducted in January last year, in the city. The Committee to Protect Journalists (CPJ), a New York-based media watchdog lambasted the closure and urged authorities to reopen the office immediately. “For authorities to stop an international outlet in a frontline city from broadcasting is tantamount to silencing the coun-try’s few remaining voices, and mirrors the practices long seen in Houthi-controlled areas,” CPJ’s Middle East and North Africa program coordinator Sherif Mansour said. The rebels last month overran Al Youm TV channel linked to former President Abdullah Saleh after the latter breached their alliance to side with Saudi Arabia. The rebels killed him and took dozens of the TV channel workers hostage. Around 10,000 people have died since the beginning of the conflict termed by the UN as the world’s worst humanitarian catastrophe. Written by: KanelkaTagba on January 11, 2018. Posted by KanelkaTagba on Jan 11 2018. Filed under Gulf News, Headlines. You can follow any responses to this entry through the RSS 2.0. Both comments and pings are currently closed.